This is an interesting mixer 22 input channels with 2 output groups plus stereo mix output making it an ideal partner for your DAW. It is widely agreed than analogue summing beats the hell out of mixing in the box which is why this little mixer will improve the sound of your mixes. Unlike the other ex theatre Cadac consoles the B Series has Mic & Line inputs via XLR & TRS connectors on the top of the mixer. With only 2 group outputs plus 4 aux's tracking is limited to 6 tracks at a time, there are no direct outputs however if direct outputs were added it could be used fully used for tracking as well as summing. 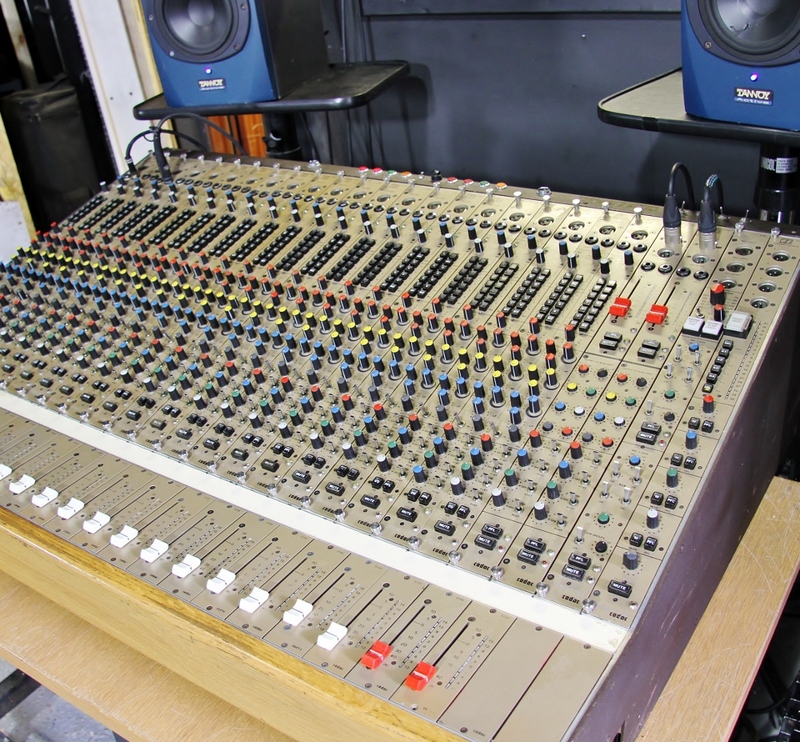 Like all Cadac consoles it was extremely well built and produces a great sound, not dissimilar to an early Neve but at a fraction of the price.
" Like a J series any module can go into any slot,. No circular MIL connectors like A and E, ins and outs are via XLR and TRS connectors at the top end of the modules ( on the top of the modules, not on rear panels like the J). I would say that internally it's better than any A or E I have ever seen. The cadmium plating on the metal panels holding the edge connectors in the frame is shiny bright "
It has not been recapped but signal paths have been checked and repaired as necessary. The usual LED ladder meters, and comes with a single linear Cadac psu which supplies all voltages and has been cleaned and serviced.